SHERWOOD — The Sherwood High School cross country teams have been putting in the miles. The Bowmen squads have been doing all the hard work and, now, they're ready for any challenge. And, for the Sherwood teams this year, some new challenges await. With that said, the Bowmen squads are taking high hopes into their initial season in the Pacific Conference. "Our runners have put in a ton of hard work and miles in the offseason — so we are excited and optimistic about the potential of the 2018 season," Sherwood coach Dave Kilian said. "There are some very talented runners in the new Pacific league, so the change of scenery will bring about some new unknowns and challenges against some well-coached teams." 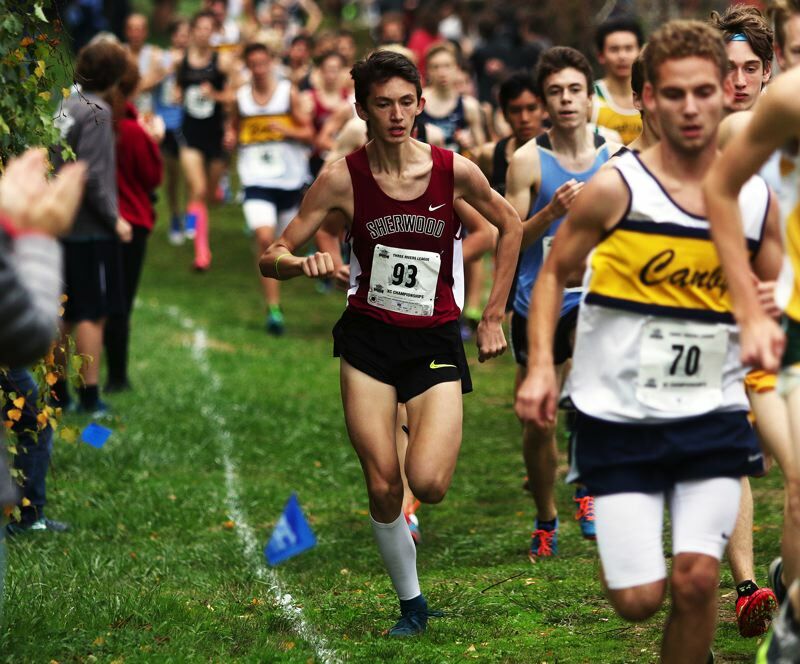 The Sherwood boys should carry plenty of momentum into the Pacific Conference, as they ran to victory at last year's Three Rivers League district championships. The Bowmen then went on to finish in seventh place in the team standings at the Class 6A state championships. The Bowmen have a strong group of returnees from that team. Among them is senior Henry Giles. Last year, Giles ran to fifth place in the individual standings at the TRL district meet with a time of 16 minutes, 24.30 seconds for the 5,000-meter course. Giles went on to place 20th at the Class 6A state championships. 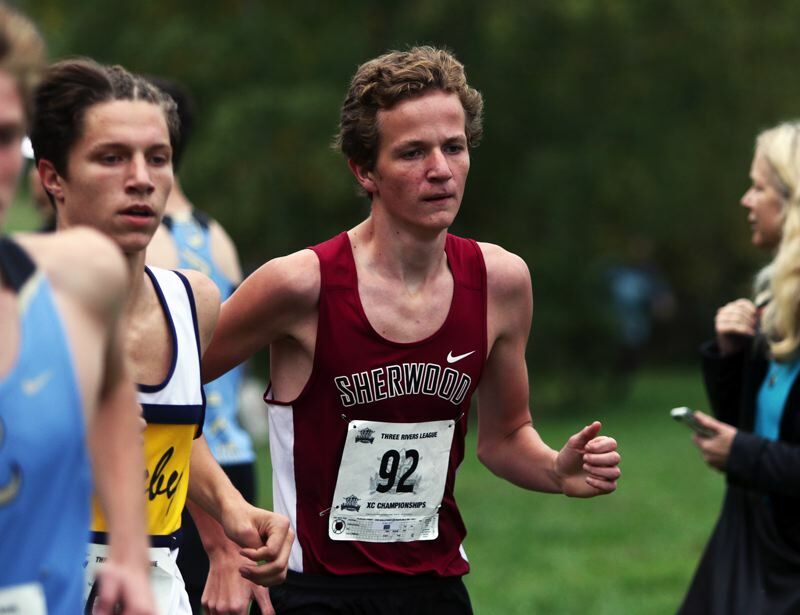 Also returning for Sherwood is junior Jaron Homer, who placed 10th at last year's TRL district meet, and junior Thomas Osborne, who was 11th at district last year. Sophomore Ismael Alvares and sophomore Danny Gomez also return from last year's Sherwood varsity. Newcomers for the Bowmen include freshman Jeffrey Rogers, freshman James Crabtree, junior George Westover, junior Larson Johnson, freshman Liam Cloward and freshman Ethan Sturdivant. "Most of the top returning boys have not skipped a beat since last season ended," Kilian said. "They have put in great work and had amazing track seasons — and, with their summer work, we are excited to see what can come up next. And, with a talented group of freshmen and sophomores for them to mentor, we are excited for many years beyond even this one. Team captain Thomas Osborne has really stepped up to welcome our new batch of runners in and help facilitate their growth." 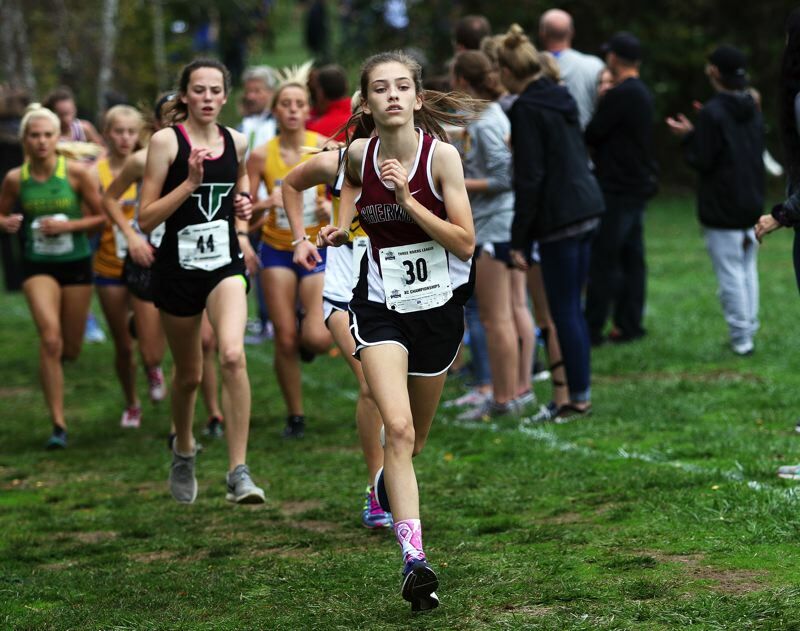 The Sherwood girls also have some key returnees back from last year's team that finished in seventh place in the team standings at the TRL district meet. Among the returnees for the Lady Bowmen is sophomore Kari Eddington, who finished 24th, individually, at last year's district meet. Sophomore Brooke Smith, senior Emily Pannell, senior Emily Boynton, junior Vanessa VanWinkle and senior Jacqueline Angelel also ran for Sherwood at last year's district meet. Junior Madi Ramos and senior Allison Pierce also return from last year's Lady Bowmen varsity. Newcomers to the varsity this year include sophomore Maia Oliver, senior Danielle Clem and freshman Ava Grunow. "Vanessa VanWinkle and Brooke Smith, for the ladies, have put in a full 12 months of work and we have seen a ton of growth in their workouts — and are excited to see how it translates to the course," Kilian said. "And team captain Emily Latwesen has a knack for making every running on the team feel welcomed and like family — which is a huge part of what we strive for in cross country." The Bowmen are now waiting to take on their new competition in the Pacific Conference. There are a lot of unknowns in the new league, but we do know there are some great coaches and very strong runners," Kilian said. "We believe both our boys and our girls teams have the talent to work their way into the top three in the league and earn their way to state. However, we cannot take a race off — because there's some strength all around. We are super excited for the season. All the work this offseason is a lot of fun, but to get back to the course and really to put to the test all their hard work is what we love the most." The Sherwood teams will open their season on Friday, when they run at the Night Meet, to be held at Wilsonville High School.